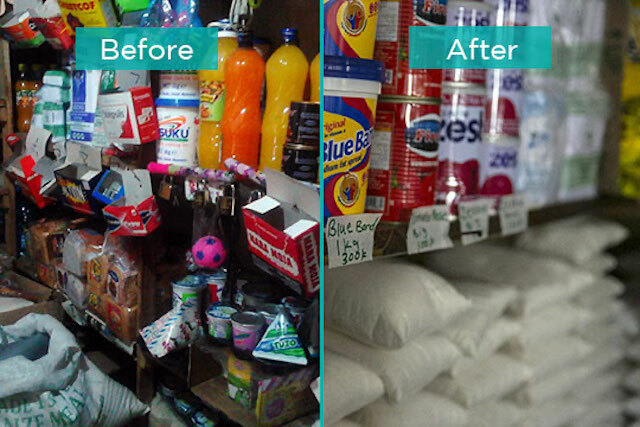 Owners of mom and pop shops in Nairobi are making small changes that add up to big profits. 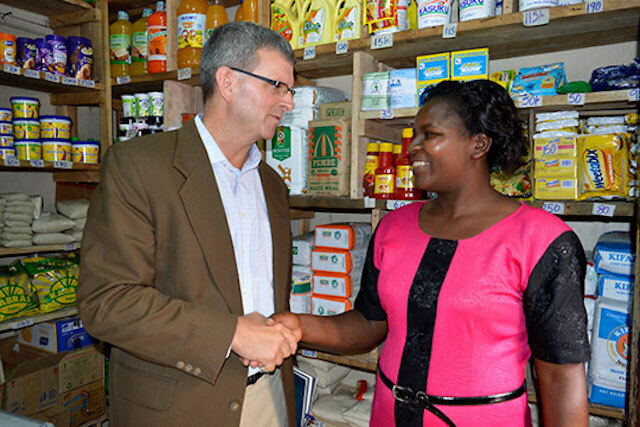 TechnoServe CEO William Warshauer meets entrepreneur Jennifer Waruinu in her Nairobi shop. 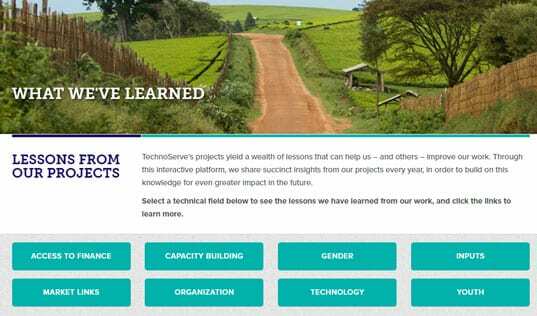 TechnoServe is piloting a powerful approach for helping small shop owners in Nairobi increase their earnings. These “mom and pop” shops, known locally as dukas, play a critical role in their communities, supplying roughly 80 percent of consumer goods. 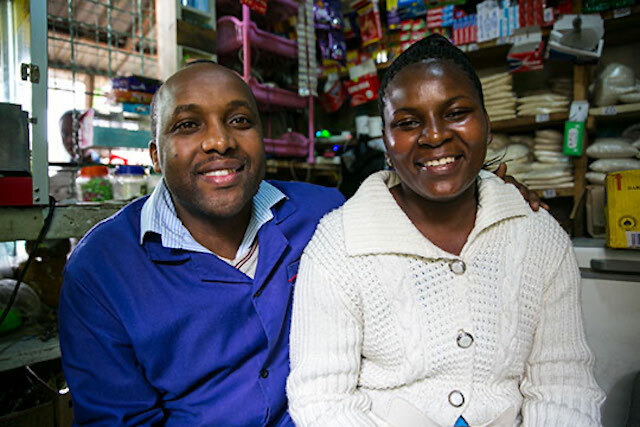 In partnership with the elea Foundation and the Citi Foundation, TechnoServe aims to help 840 shop owners in poor parts of Nairobi boost their profits through the Smart Duka program. On a trip to Kenya earlier this month, I met Jennifer Waruinu and George Ndirangu, a young couple who run a shop called Turning Point in Nairobi's Dandora area. Jennifer joined the Smart Duka program in late 2015, marking a true turning point for the 8-year-old business. Over the past few months, the shop and the young family’s earnings have been transformed. The Smart Duka approach includes in-store targeted consulting as well as training on self efficacy, business skills, merchandising and display. Participating shops also form business groups so that they can purchase goods at lower prices. 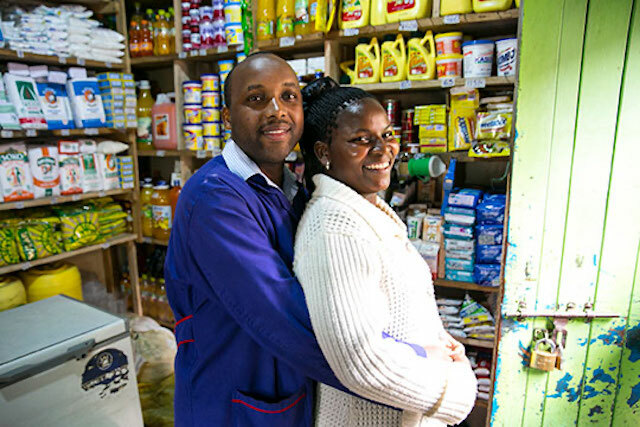 Jennifer and her husband, George Ndirangu, are proud of the changes they've implemented in their shop Turning Point. I was impressed at how simple ideas – such as record-keeping and separating personal finances from business finances – can make big differences in the shops’ earnings. One of the most transformational aspects of the project for Jennifer and other shopkeepers I met, was the training on merchandising. Applying practices they learned through Smart Duka, Jennifer and George improved store layout, organized product display and posted prices. Previously, they told me, customers rarely bought the larger sizes of items like soap, cooking oil and beverages. But with different sizes and prices on display, many customers were choosing the better value and buying larger sizes. Using better merchandising techniques, Jennifer and George have improved product display and their shop's overall appearance. 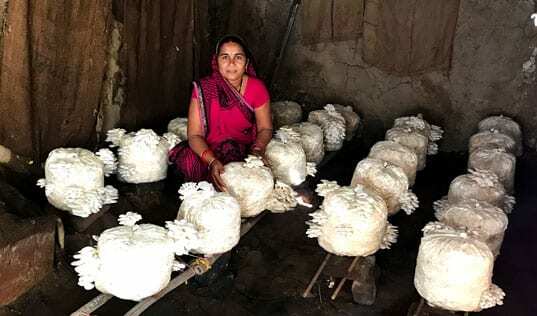 Based on business training from TechnoServe, Jennifer formally registered Turning Point and was able to gain a contract with a local hospital to supply its maternity ward with bread, eggs and milk. Since joining the program, Turning Point’s monthly sales have jumped by 30 percent, and profits increased by an average 17 percent. Jennifer has built a storeroom behind the shop so that they can keep additional inventory and eventually move into wholesaling. A charming and forceful woman, Jennifer is vice chairperson and an active member of her business group in Dandora. She has recruited new group members and offers mentorship for other shop owners, encouraging them to register their business and adopt best practices. "When we come to the shop, we are business partners and must agree on decisions," says Jennifer. I asked her how it was to work with her husband. At first it had been difficult, she confided, as they often disagreed about how best to run the shop, and she would ultimately defer to him. Now, she smiled, they’ve reached a new agreement: "At home he is the husband and the father and he gets to decide many things. 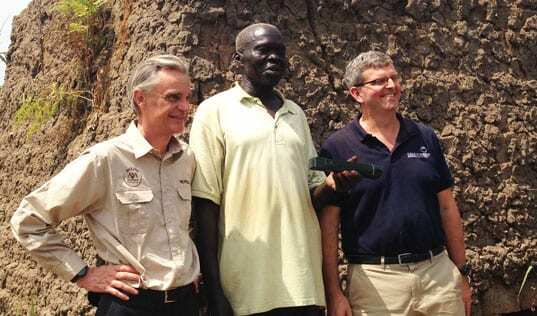 But when we come to the shop, we are business partners and must agree on decisions." Early results from Smart Duka are encouraging. Since late 2015, 350 shop owners have been trained and mentored, with average sales increases of 33 percent. Other shopkeepers are taking note, creating high demand to join the program.